Consistent patterns + increased velocity + deeper penetration = a more successful hunt. 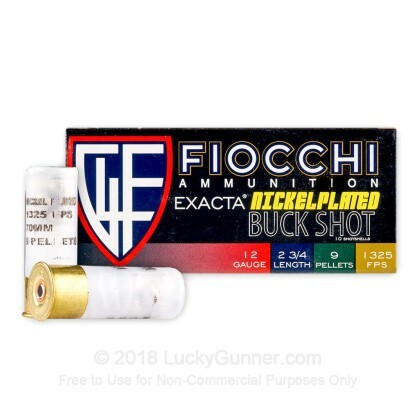 Fiocchi's nickel plated shotgun loads are designed with nickel-plated pellets for less resistance in flight as well as higher velocities for increased energy downrange and improved performance on target. Plus, the pellets penetrate deeper which causes more damage to bones and vital organs. 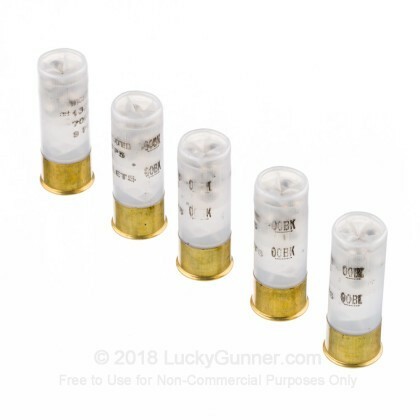 One thing to note about these loads is that while they have a shot cup, they are unbuffered. 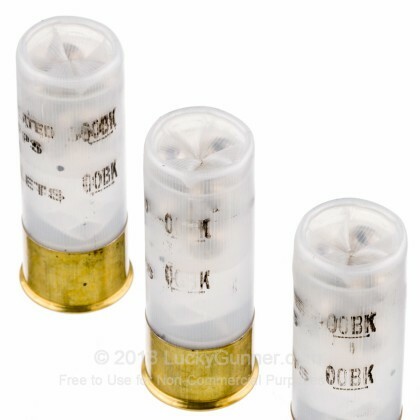 I tested these alongside Winchester military 00B (buffering, no shot cup), and Estate 00B (buffering and a shot cup). 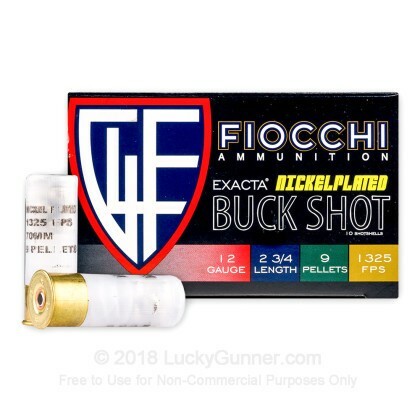 At short ranges of 7-10 yards, out of an 18.5" cylinder-bore Remington 870, the Fiocchi loads were noticeably more open than the other two, and sometimes had fliers. They went bang every time, and anything in front of them would be dead, but I found the buffered loads performed more consistently for the same price. Great products and availability. fair time on delivery. great prices, good service. Product savings spent for freight charges.....need to find a cheaper freight charge. Until then I won't be ordering any more products. 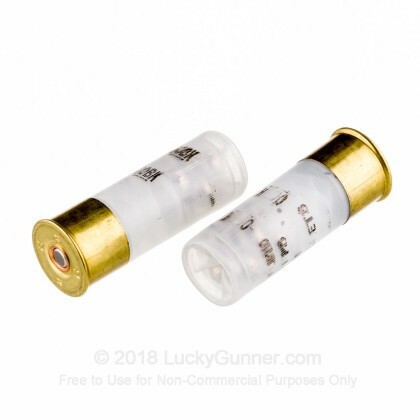 Lucky Gunner has great service! Good product at a great price and even better service. Super fast delivery! 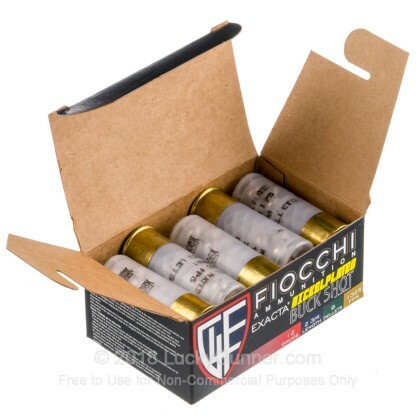 We also have this 12 Gauge - 2-3/4" 00 Buck - Fiocchi High Velocity - 250 Rounds ammo in stock in a bigger quantity.